President Obama recently signed the bipartisan student loan bill which prevented interest rates on student loans from climbing to 6.8 percent, instead that rate sits at 3.86 percent. Congress’ original plan was to in fact double the interest rate on student loans to 6.8 percent. However, President Obama halted that rate from applying, at least until 2015. According to The Huffington Post, the amount of outstanding student loans is currently sitting at over $1 trillion. Since student debt is sky high, citizens are concerned about the long-term effects of such sizable debt. McLean and others do not recommend a halt in higher education. “The evidence is clear that those with a higher education are likely to earn much more over their lifetime than those without a degree or credential,” McLean said. McLean’s thoughts on higher education seem to be a trend. Some might believe importance lies in not only resisting debt, but investing in a college education. However, it is obviously rare for those two to coexist. So what can be done? “One alternative to increased student loans would be increased government subsidies for public colleges and universities, allowing decreased tuition at these schools,” Saltzman said. There is something the average public can immediately control, too. This battle of student loan debt is not something that a sole individual can conquer on his own. “There needs to be a cultural shift so that those taking out any loan are more aware of the financial consequences if they borrow more than they can reasonably afford” McLean said. 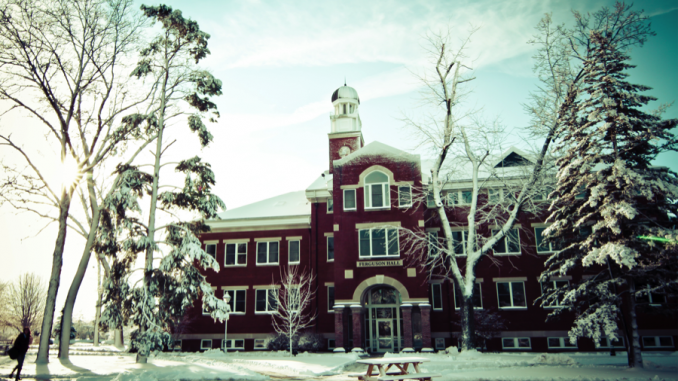 Although debt from student loans is and will be a strain on the economy, the importance of higher education lives on, according to multiple Albion professors. What also lives on is the importance of paying off student loans. That might be easier said than done. Tuition.IO can help students manage their college loans.